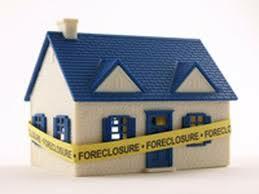 The SCRA and foreclosure efforts are closely intertwined. prohibits foreclosures on any deployed servicemember (and, under their dependents if they seek court relief) while the servicemember is deployed and for up to a year after they return. The Servicemembers Civil Relief Act protects servicemembers from concerns at home like paying bills while they are off serving their country. The federal law, enacted in 1940, is complex and vague, and penalties for violating it are stiff. Thus, banks, money lenders and others who do business with servicemembers must stay informed and to err on the side of caution when the law is ambiguous. Under the SCRA, banks cannot foreclose on a servicemember without going through a series of steps. These steps change frequently, when there are changes in law, enforcement, and policy so it is best to check for any updates before embarking on this procedure. For instance, it is also a violation of the SCRA to evict a servicemember’s dependents in their absence. However, those whose rent is above $3,716.73 per month are exempt from this protection. That’s the cap for 2018, but it’s likely to change in subsequent years. In your quest to secure a court order to evict dependents of a servicemember, you are likely to run up against judges who grant servicemembers a reprieve of up to three months if they believe their military service is what prevented them from paying the rent. With a foreclosure, there are no exemptions based on the dollar amount of the mortgage. Before taking any steps with a foreclosure, you must verify military status. If the borrower is military, and deployed, you must seek a court order before proceeding or risk incurring steep fines. However, a critical component of the law and a major pitfall for lenders is the period of time protections are still in force after the servicemember returns stateside, which is currently a year. Protection was extended from 90 days to one year in 2017 (see botttom of this page to view history of this protection period). Each year Congress must vote to keep the one-year protection in place. If it does not, the protections revert to the 90-day period. Military status is verified as of a certain date; in general, the date you request it. This Active Duty Status Date is the date of your inquiry. The Department of Defense will look as of this particular date and 367 days prior. Thus, if you want to verify a span of time more than 367 days, you place multiple searches with different Active Duty Status Dates. Thus, if you request the military status of a delinquent borrower as of today and the result comes back that they are not in the military, are likely free and clear to start a foreclosure. But if the borrower is still within their one-year protection period, that foreclosure initiation would be a violation of the SCRA. The Department of Justice routinely files suit against bankers and lenders for such violations, resulting in fines and penalties in the tens of millions of dollars. Further, a borrower could have entered a mortgage agreement as a civilian, then later joined the military and been deployed. Asking borrowers if they are in the military when entering into a mortgage agreement with them is legal. But it does not protect you if you do not check their military status later, in cases of late payments and default. 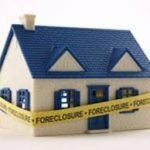 Additionally, those who do business with servicemembers must keep in mind that foreclosure is not just for homes, but for personal property as well. This includes land, property used as collateral, items kept in storage lockers and pawned possessions. Changes can occur any time — in the law, in a borrower’s military status, in enforcement or regulatory actions, or in other areas. The best you can do to protect yourself is to check the status before moving forward. Do this even if you think that you know what it is, and even if you checked it at the last step in the process. Check status carefully and often, and keep an eye on changes and consent orders. For the fastest, most accurate military verification, use the Servicemembers Relief Act Centralized Verification Service. We deliver results, usually in 24 hours, and offer discounts for batch processing. As opposed to Defense Department sites, we are able to prepare affidavits, send them by overnight, and can perform searches without the social security number or date of birth.